As the soggy summer draws to a close we thought we would provide you with an overview of some of the best music festivals that have been visited by the LSRadio music team this year. As well as making the return to a life of academia and poverty that little bit easier, the reviews may just offer you a few hints on which artists to look out for over the coming months, as well as which festivals to attend next summer! 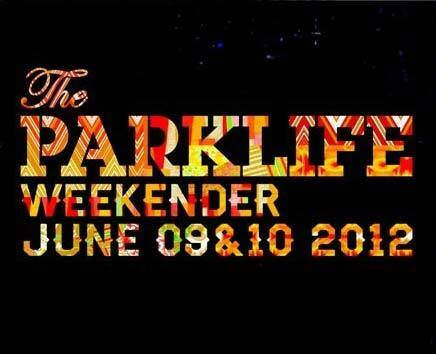 One of the first events to kick off the festival season was Parklife in Manchester. On a rainy weekend in June, a 50000 strong collection of students and local ravers gathered at Platt Fields Park to praise the talent in true Mancunian style. With more tickets sold this year than ever before, logistical capacity issues seemed to be present at a few locations across the event, but that didn’t stop the crowds from consuming their chosen poisons, donning their sunglasses and quite rightly, getting down. An early highlight was Tempa T at the Metroplex stage, who got the crowd bouncing with his most popular track, ‘Next Hype’. Then to remind us that she is still as fierce and talented as ever, Kelis blasted out her tunes on the main stage, pleasing the intoxicated festival goers with ‘Bounce’; her recent collaboration with Calvin Harris. One of the last stages to visit on the Saturday was Now Wave to catch synth-punk duo, Crystal Castles. Despite the actual tent being barricaded off once it hit maximum capacity, hundreds of fans were more than happy to listen from the open air, absorbing the distorted, electronic beats and trippy vocals into the night. (Possibly) showered and refreshed, the crowds returned on a much sunnier Sunday to catch more artists, deejays and engage in more fun fuelled antics. The afternoon kicked off with a wicked performance from London based Grime artist, Dot Rotten at Ape Carnival Sounds and shortly after, the Now Wave tent was filled with fans of Ghost Poet’s hypnotic lyrics and smooth beats where he delivered an (as ever) amazing set. The evening eventually turned into a blur of Vodka and Beats as crowds mingled between venues catching the latest deejays and MCs wherever they could. Julio Bashmore at Wax:On was a particular favourite, as was the always exciting Justice, who headlined the Metroplex stage before the crowds dispersed to their various after-parties and after-after parties. The best thing about this festival is that the weekend offered so much for so little. Hundreds of artists could be seen over two days for little over sixty-five quid and the atmosphere was -to be original- truly electric. With no camping facilities it meant that when the acts finished, you could return to your chosen base, recharge and head out to more planned/ unplanned musical events around the student centre of Fallowfield. Whether you choose to sofa-surf, commute, book a hostel or just wing it, this Weekender is ideal for students looking for a lengthy party…so keep your eye on the line up for 2013!